Skoda has announced the arrival of two new models: a rugged estate called the Octavia Scout and the Octavia G-TEC, a natural gas powered machine with range of 826 miles. Both vehicles made their public debuts at the 2014 Geneva Motor Show earlier in the month and now we’ve got the lowdown on their specs and performance. The new Skoda Octavia Scout 2014 is a tougher, raised version of the Golf-based Octavia. It’s been earmarked for a summer 2014 launch in the UK. When the wraps were taken off at the Geneva Motor Show, the public saw a car that has been raised by 33mm and clad in plastic to look like an off-roader. To back-up the appearance, Skoda has included a four-wheel-drive system and they’ve changed the underside to create better approach and departure angles for off-road driving. Compared with the old Scout, this new model can tackle more challenging terrain but it remains a crossover like its predecessor, as Dr. Frank Welsch from Skoda’s technical development board confirmed. 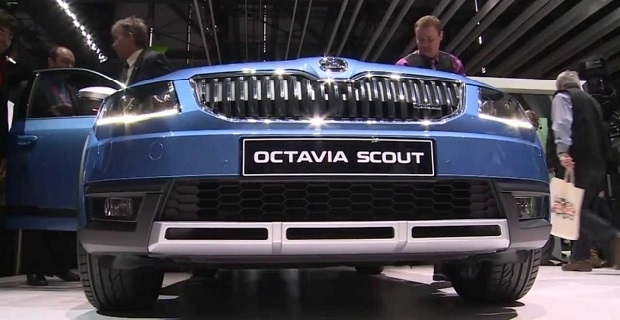 “The new Octavia Scout sets new standards in the crossover-vehicle segment,” he said in Geneva. 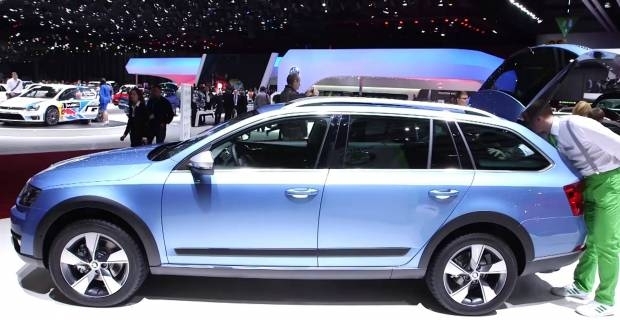 The Skoda Octavia Scout and Octavia G-TEC were both shown at Geneva but the super-frugal G-TEC, that’s powered by compressed natural gas made, the biggest headlines. Unfortunately, British motorists won’t be able to test Skoda’s claim that the G-TEC can manage 826 miles between refills because the Octavia G-TEC won’t be available in the UK. Power comes from a 1.4-litre TSI turbocharged petrol engine that’s EU6 emissions compliant and produces 108bhp. Drivers get a range of 255 from gas and a further 572 miles from the petrol engine. Skoda will be hoping that the Octavia Scout and Octavia G-TEC models help them to take sales from the Honda Civic and their VW stable mate, the Golf. These new models represent another giant step for Skoda thanks to high-quality interiors and class-leading space so we expect to see plenty more Octavias on British roads in the near future.